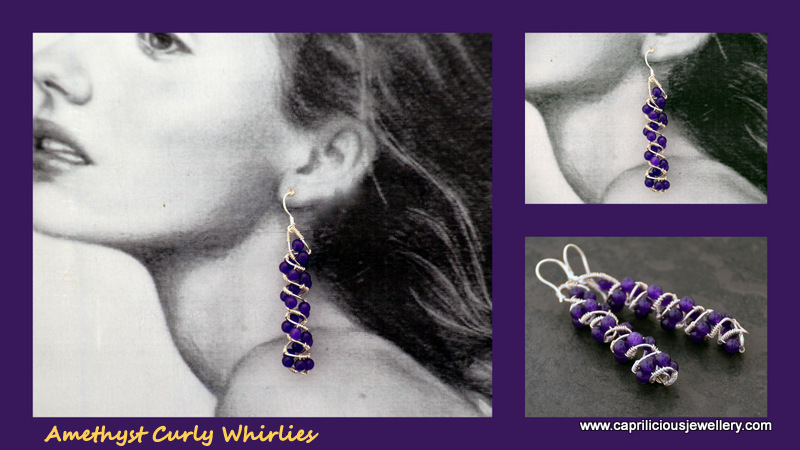 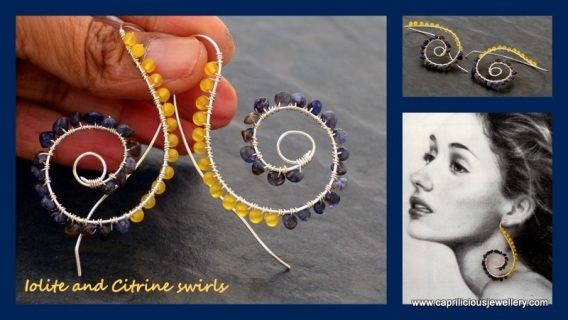 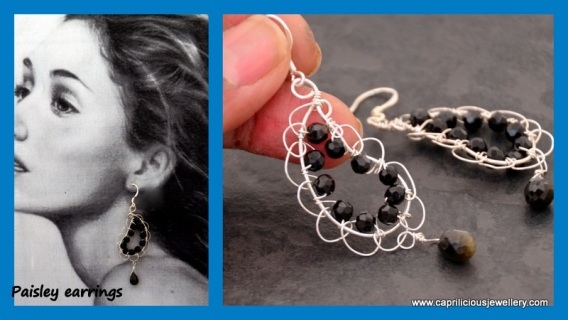 Sterling silver wire bound with little iolite and citrine beads and formed into spirals with an integral ear wire. Light and pretty, and very showy. The ends of the wire are filed smooth so that they will not hurt your ears/neck. 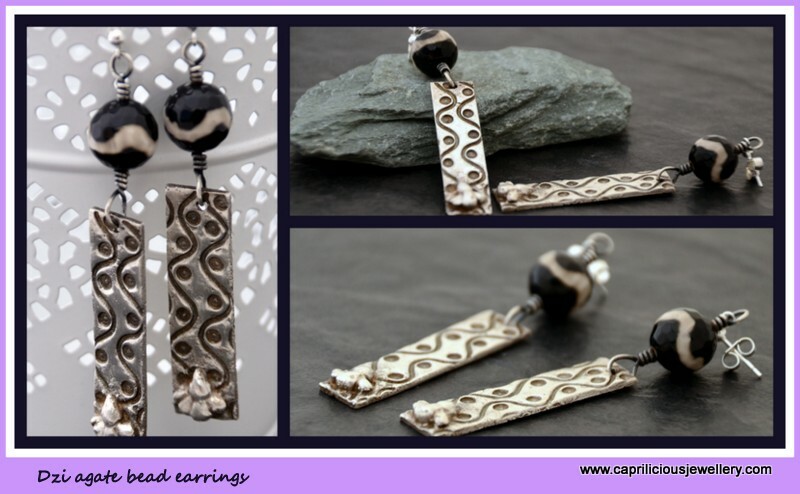 These earrings are made of 99% silver from my kiln. 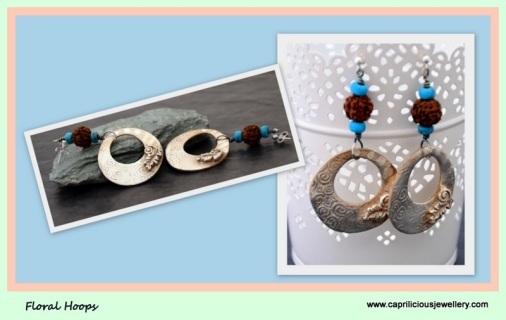 The floral hoop dangles from a connector made of a rudraksh seed and two turquoise beads. An ornate leaf sits on the hoop to one side. 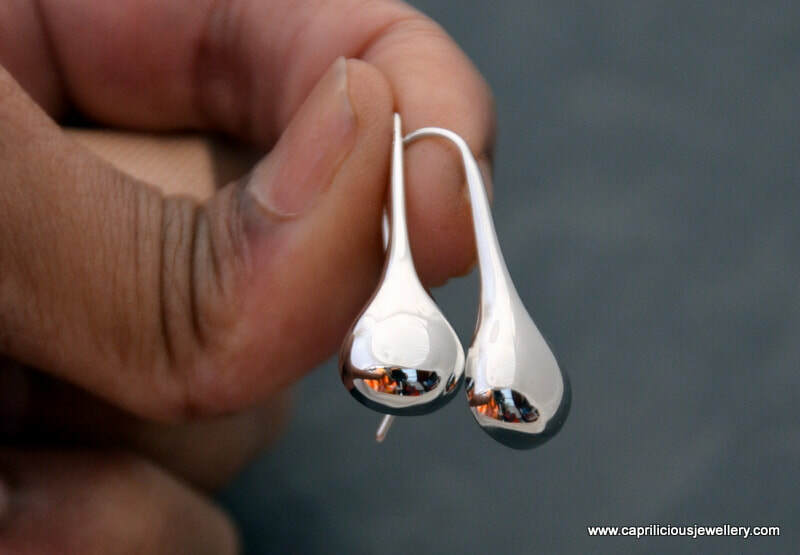 A stud finding sits in the ear, but can easily be changed to a hook if you should wish it. These earrings are made of 99% silver from my kiln. 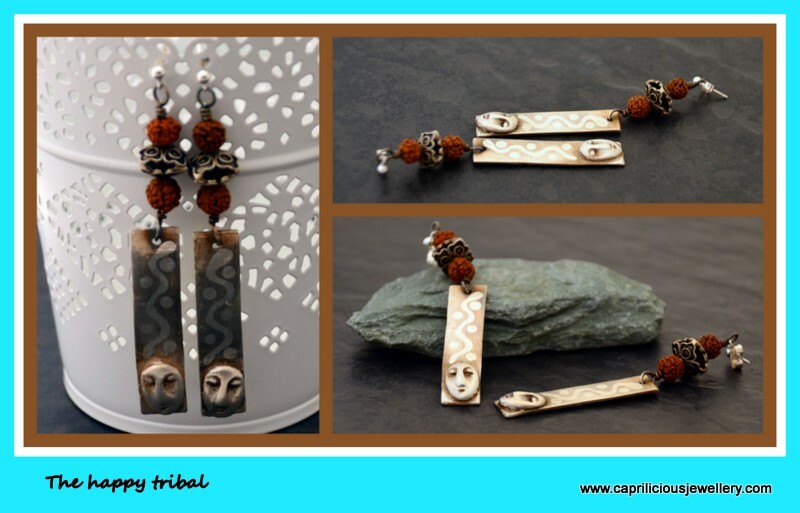 The rectangular piece dangles from a connector made of two rudraksh seeds and an ornate 925 silver bead. A stud finding sits in the ear, but can easily be changed to a hook if you should wish it. Little 1cm flowers on integral silver ear wires. 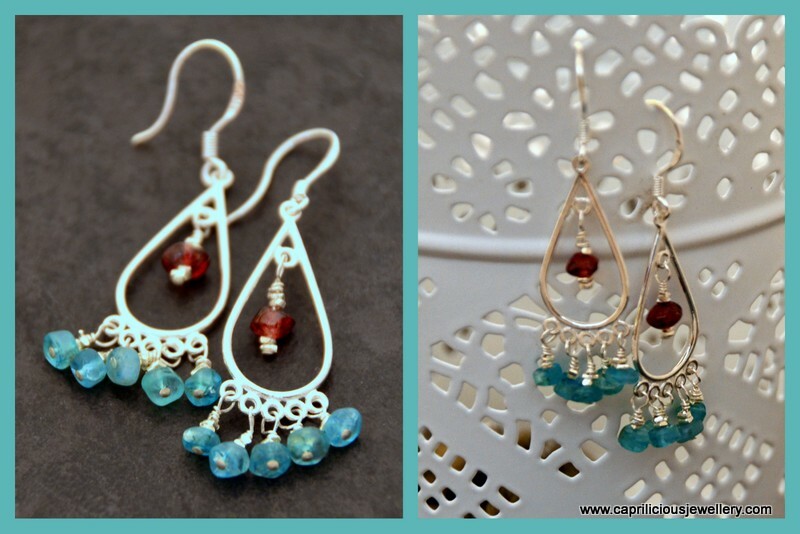 Light and pretty - so nice to wear for a special occasion. The woman in the drawing is not life size. 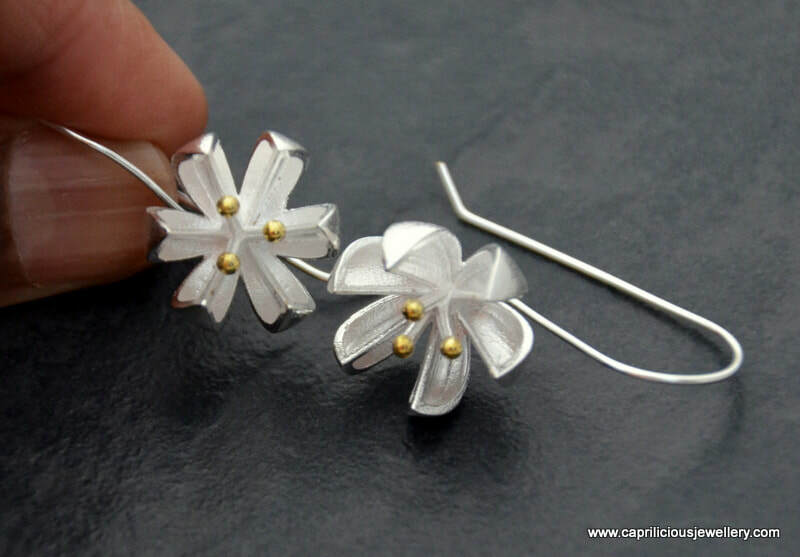 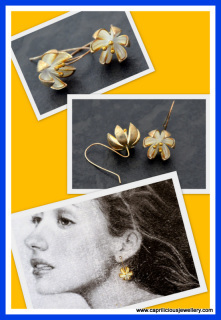 Little silver flowers on integral silver wires, the stamens are subtly covered with a gold wash. Light and pretty, easy to wear on special occasions to make you feel fabulous.The earrings are 1cm in diameter. 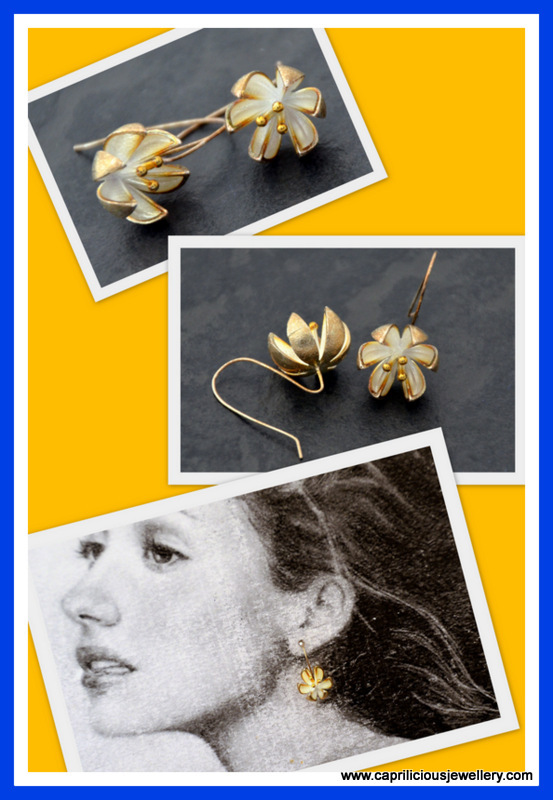 Little silver flowers on integral silver wires, the stamens and the back of the petals are subtly covered with a gold wash. Light and pretty, easy to wear on special occasions to make you feel fabulous. 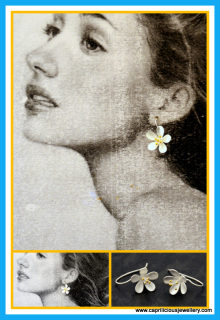 The woman in the drawing is not life size. 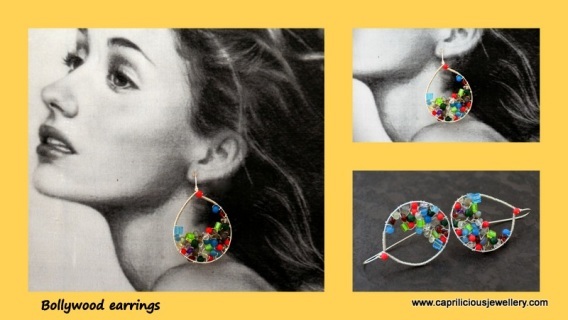 The earrings are 1cm in diameter.